For three years, franchise owners Willie and Sharon Brinson kept an eye on a contract they had lost to a lower bid because they knew the other service provider would eventually not be able to deliver as promised on their price and service. Sharon checked in often with the school board and superintendent, just letting them know she was ready to step in if they weren’t happy with the current service. Sixteen months into the contract, Sharon got the call she’d been preparing for. 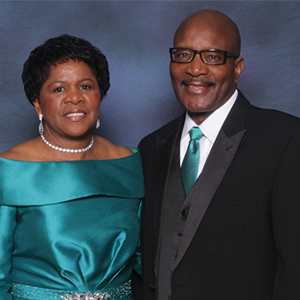 The Brinson’s purchased their Southeast Mississippi franchise in August of 2001. Sharon was driving for UPS at the time and the local Jani-King office was on her route. The couple was also running a lawn care business and the summer sun was beginning to take its toll. The business savvy couple took quickly to Jani-King’s program and has grown their business, adding new customers and employees each year. Currently the couple manages 21 employees in their franchise and they take full advantage of the support offered by Jani-King’s regional office. Like with most business ventures, success wasn’t just handed to them. The couple works hard in their accounts and believes that building relationships is one of the keys to growing their business.